Our retail lighting services in Tampa, FL are complemented by a dedication to making sure your specific needs are met. When people come into your retail store in Tampa, Florida, you want them to feel at home. For this reason, you put considerable time and effort into creating an atmosphere that is warm, inviting, and friendly. If you’ve decided that you want to put up more lighting in your store to make this happen, but you need some help with the process, leave things up to us at 5 Star Electrical LLC. Our retail lighting services are complemented by a dedication to making sure your specific needs are met. When you work with us, we will consult with you throughout the entire duration of the project to ensure that your new lighting highlights the products you’re selling. We realize that once you decide to put up new retail lighting, you don’t want to wait forever for the project to get done. Due to this, when you leave all of your store’s lighting needs up to us, we will work diligently on your project and bring it to completion in a timely, efficient manner. However, this doesn’t mean that the quality of our workmanship will suffer. Keep in mind that we provide retail lighting services to current stores that are looking for a lighting upgrade and new stores that are getting ready to open for the first time. 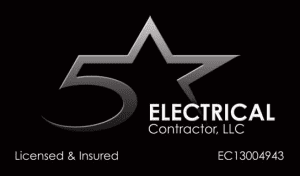 If you’d like to schedule a time for us to come and install lighting at your store or you want to know more about why we’re the ones for the job, give us a call at 5 Star Electrical LLC today. We look forward to hearing from you and to meeting your retail lighting installation needs.